While reading up on a few games earlier today, I got the thought into my head that I’ve gotten to the point in games where I no longer want an open world. The novelty has worn off on me, and I’m sick of playing games with a few interesting areas and miles and miles of content-void land on their map. As someone who finds themselves finishing less games as time becomes more precious, I am drawn to a more linear experience. 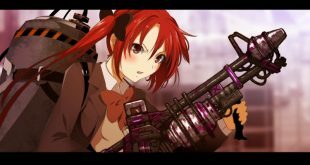 I feel that the bar for open world gameplay has been set by three specific games, and unless that same level of quality can be met, I feel it is not even worth implementing an open world. When it comes to games that require PC ports, there is no other game that I hear being mentioned more than Red Dead Redemption. 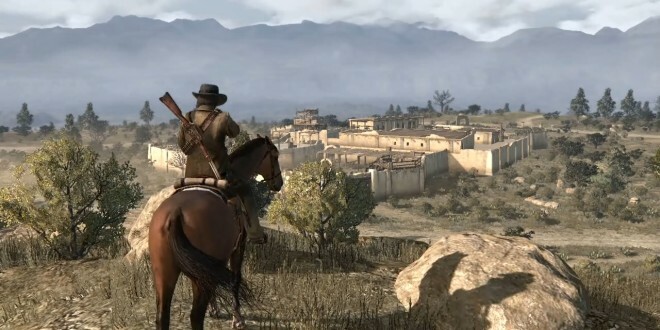 Rockstar’s recreation of the Western United States and parts of Mexico led to hours upon hours of exploration. 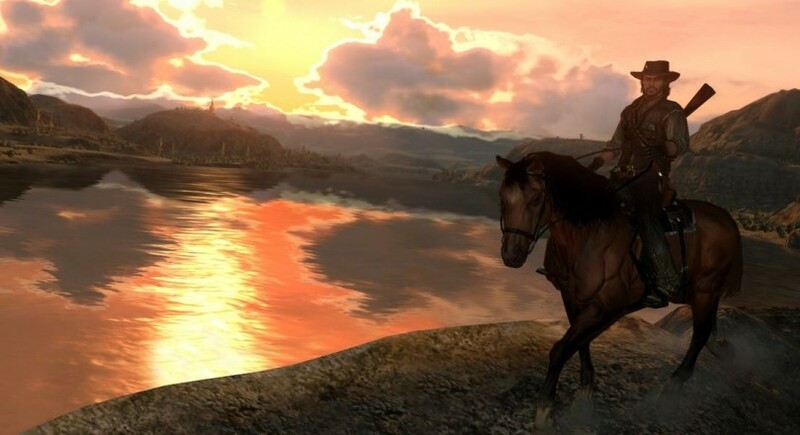 Red Dead was a game that not only created an interesting and immersive environment, but also managed to fill it with meaningful side missions, activities, and mini-games that could be participated in. More often than not, I found myself being drawn off the beaten path to rescue someone from bandits, capture a bounty that I had been tracking, or hunt one of the various animals available in the game. 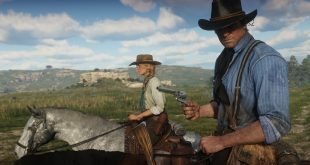 When it comes to open world’s, I feel that Red Dead is definitely in the top contenders, as it not only managed to make a beautiful environment, but managed to keep the player occupied while exploring their creation. Anyone who has ever played Morrowind remembers the game’s entry sequence. For me, it was my first introduction to a game that allowed exploration, decision-making, and provided consequence for your action. The sense of wonder that came from setting foot outside of Seyda Neen was overwhelming, and I often found myself lost for hours wandering aimlessly through the wilderness. However, the dungeons, caves, and lairs scattered throughout the world always piqued my interest as I found myself abandoning main quest objectives to figure out what riches may be hidden in that cave over there. I’ve often heard many people say that Morrowind is unplayable now based on its aging graphics and combat system, however I feel that those individuals had a very different experience from what I had with my time in Morrowind. For me, it was never about leveling up or talking to villagers and completing tasks for them, it was about figuring out the bounds of the world, and the mystery of what may lie around that next corner was the game’s biggest draw for me. 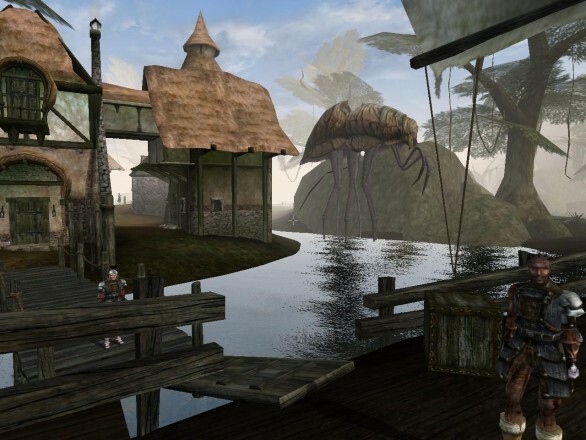 Morrowind’s refusal to hold hands and its creation of an interesting and unique world leads it to be one of my favorite open worlds, and one that I feel should be experienced by each and every person who enjoys video games. Grand Theft Auto V is, to me, the pinnacle of open-world gaming. There is no city in any game that manages to seem alive as pedestrians rush to their destinations on the sidewalk, pets wander at the heels of their owners’ as they walk through the Downtown area, and traffic fluctuations occur at different times throughout the day. 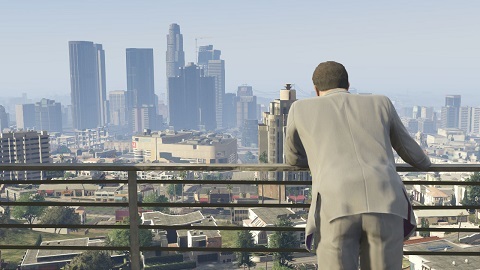 The sheer amount of detail put into Los Santos is stunning and mind-blowing. I have never seen a game that has been so focused on making sure that the tiniest details were included, and this does well to make the world both interesting and immersive. The various events scattered throughout the city, while often appearing at terrible times, are a nice way to provide an unexpected and random bit of gameplay to break up the missions. I often feel like even if it weren’t for the amount of activities and missions that can be taken part in throughout the city, the world would still be interesting to explore solely based on its beautiful visuals and sights to see. I’ve found myself cruising around the city for hours just taking in the landmarks, as well as wandering around the streets of Los Santos eavesdropping on pedestrians’ conversations and wandering through back alleys with no clue what I will run into. There is no part of Los Santos that I have run into that does not contain a ridiculous amount of polish, and the time that they spent polishing the game is the main draw that makes it the best open world that is available in gaming today. While I’m not normally a fan of action games, I feel that it is almost impossible not to find something enjoyable to do for anyone who decides to play Grand Theft Auto V, and I’ve found non-gaming friends become immersed once you pass them the controller and tell them that they can go wherever they’d like. It seems that Rockstar definitely has a knack for creating interesting open worlds. While this list is definitely not definitive, I can say without a doubt that these are the games where I found myself marveling at the worlds that were created. 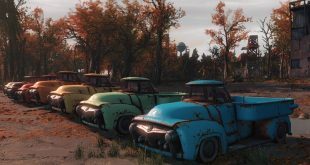 A few other interesting open world games definitely exist, including Fallout 3 and New Vegas and the S.T.A.L.K.E.R series are a few that come to mind. Feel free to leave your thoughts and favorite open worlds in the comments, I’m very interested to hear what everyone else thinks.